Swivel armchair for the home and for public facilities. 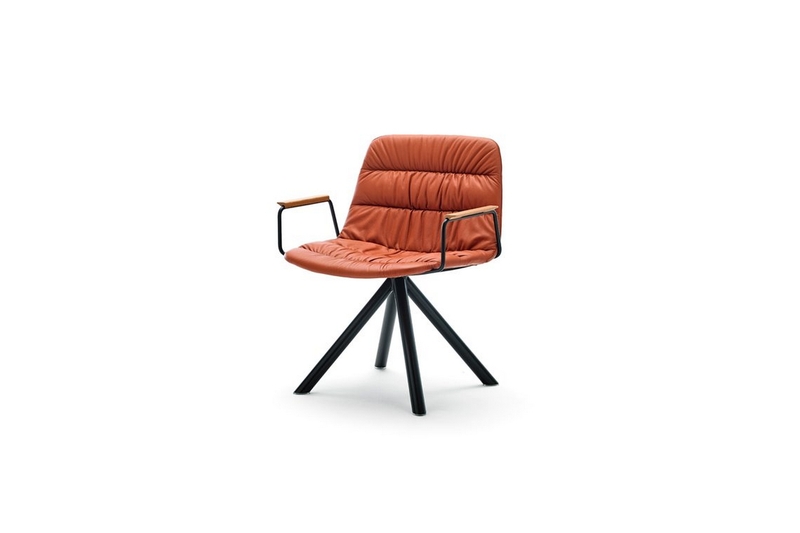 Its powder coated steel tube structure and its carefully made, elegant, upholstered seat recall the classics of the’70s. 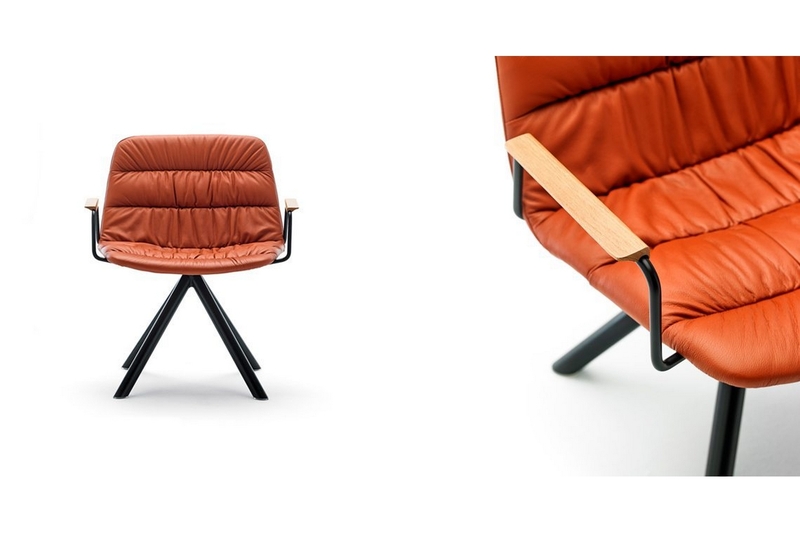 MAARTEN is available in seat finishes to fit with all kind of environments. Swivel calibrated steel structure powder coated in thermoreinforced polyester in black, white, fluorescent orange and altea blue. Moulded shell with 3D plywood covered in shape-holding polyurethane foam and polyester fiber. Fixed upholstery covering available in the classic and plain version. Clear polypropylene injection pads on the swivel base. Arms available for all the versions made with calibrated steel powder coated in thermoreinforced polyester in black, white, fluorescent orange and altea blue.